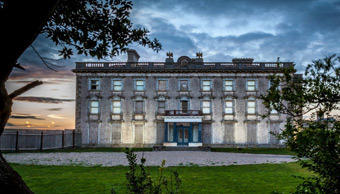 The Hook Peninsula boasts heritage dating from every important period in Ireland’s fascinating history, from monastic times through to the Normans and the Knights Templar and onwards throughout the years to the modern era. The centuries have left their mark on the landscape in the most picturesque and aesthetic of manners. 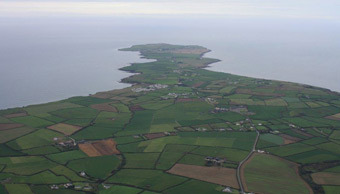 From the majestic beauty of Tintern Abbey, to the 12th Century Dunbrody Abbey, one of the finest examples of a Cistercian Monastery in Ireland and on to perhaps the most famous piece of architecture, the Hook Lighthouse; you will find a rich tapestry of Irish history wherever you turn when visiting this magical part of the world. Ballyhack Castle is located on a steep slope in a commanding position overlooking Waterford estuary. The castle, a large tower house, is thought to have been built circa 1450 by the Knights Hospitallers of St. John, one of the two great military orders founded at the beginning of the twelfth century at the time of the Crusades. The Castle can be seen from the Passage East Car Ferry. Dunbrody Abbey was founded for the Cistercian Order by Herve de Montmorency in the years following the Norman invasion of Ireland circa 1170. The Dunbrody Famine Ship Experience is one of the premier tourist attractions in the South East of Ireland. Centred on an authentic reproduction of an 1840’s emigrant vessel, it provides a world-class interpretation of the famine emigrant history. Duncannon Fort is an impressive presentation of a bastioned fortress perched on the side of the stunning Hook Peninsula, County Wexford, part of Ireland’s Ancient East. Duncannon Fort is now open for bookings. Tickets can be purchased online or in the Hook Tourism office at Duncannon. Light up your day at Hook Lighthouse, 800 years of light keeping. 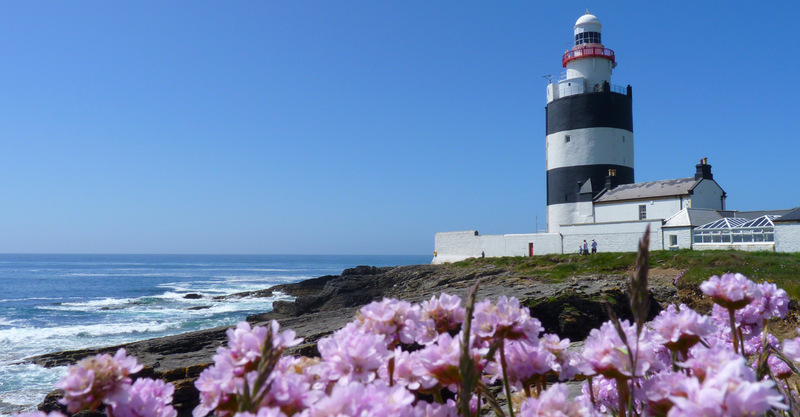 One of the Oldest Lighthouses in the World, a favourite with Lonely Planet and Tripadvisor. Marking the entrance to Waterford Harbour at the mouth of the Three Sisters river system for over 800 years. The Kennedy Homestead, birthplace of President John F. Kennedy’s great-grandfather Patrick Kennedy, celebrates the story of five generations of the Kennedy dynasty which is still farmed by his descendants. A Cistercian Abbey, founded c. 1200 by William, the Earl Marshall, and named after Tintern Abbey in Wales. The remains consist of nave, chancel, tower, chapel and cloister.